The latest edition of the Birch Hills Heartbeat magazine is out. See whats going on around town here. The newest edition of the Birch Hills heartbeat newsletter is out. It's filled with great content on whats going on in Birch Hills. Check out the full edition right here. The December 15th copy of the Birch Hills heartbeat newsletter is here. It's filled with great article on how busy Birch Hills is. To check out the full copy of the heartbeat click here. The Birch Hills items of interest quarterly news letter is out to keep you up to date with whats happening in Birch Hills. The December issue includes progress on the Birch Hills community multi-use facility, Birch Hills pet licencing, water and sewer bill in Birch Hills. It also includes a great piece on the Birch Hills volunteer fire department fire and rescue department. Click here to check it out. Got Extra Clothes Laying Around? 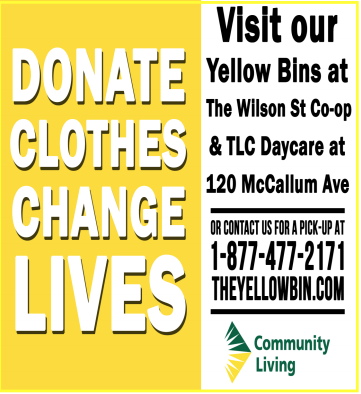 If you have extra clothes laying around the house or clothes that your children have out grown, Birch Hills has its own Yellow Bin. All the donations go to people with intellectual disabilities. Support a great cause! 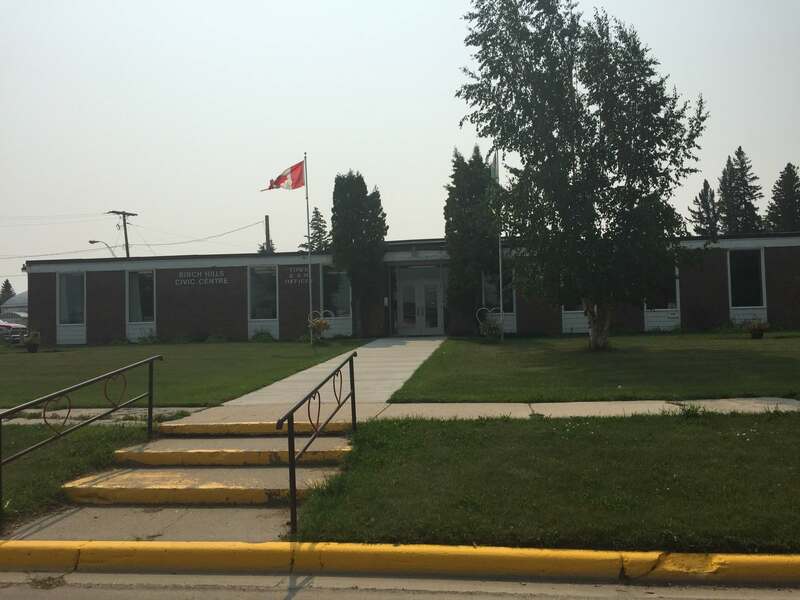 The Town of Birch Hills is looking for a new office assistant. If your looking for a career change check it out here. Whats Going on Around Birch Hills! Check out the video we shot of Birch Hills a couple years back. A few things have changed but a lot of things have stayed the same. 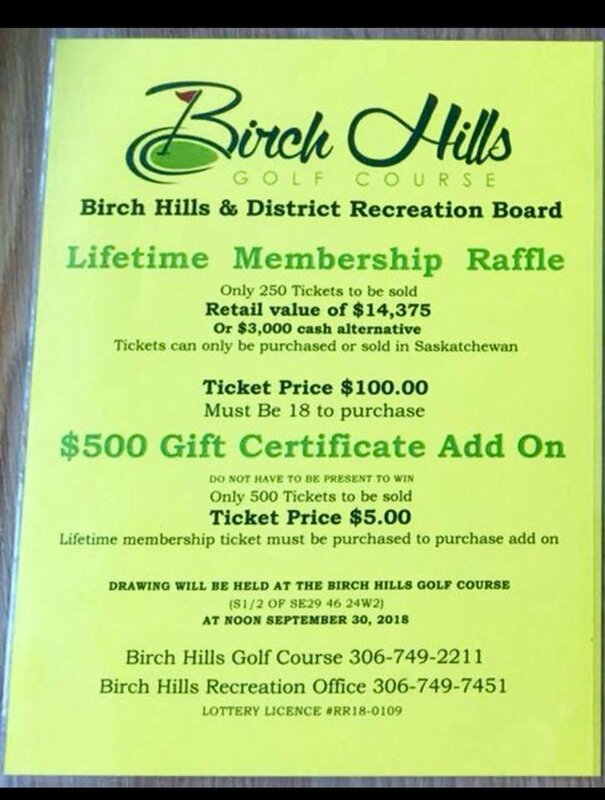 The Birch Hills Golf Course is doing a raffle to win a life time membership to the course, what a great idea! Only 250 tickets will be sold for the raffle. If your a huge golfer buy a ticket for the Birch Hills Golf Course raffle! You can't visit Birch Hills without playing some golf. The 9 hole course is meticulously maintained and cared for. Sitting just on the edge of town this beautiful course has relaxing welcoming atmosphere. For more information check out the town website for the Birch Hills Golf Course. The June Items of interest newsletter is out. Some of the topics covered are Birch Hills fire pit permits, Birch Hills municipal taxation, safe driving, vandalism, and dutch elm disease. Click here to read the newsletter. Another great annual event in Birch Hills. 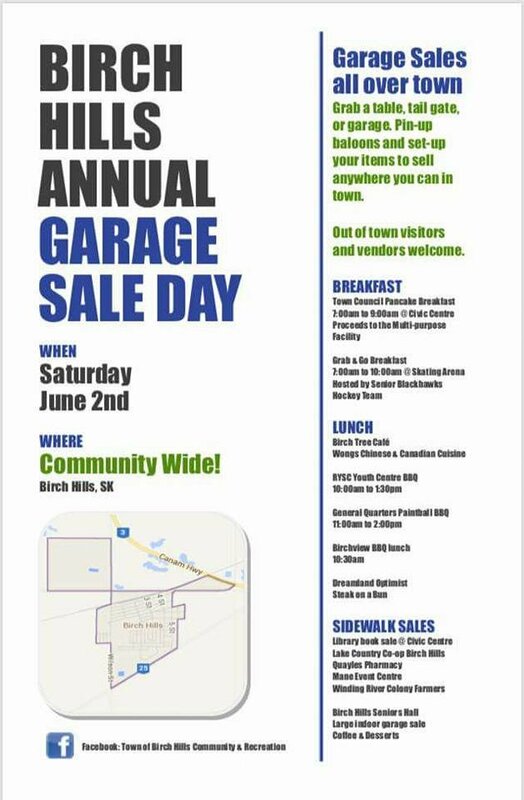 Come check out this town wide garage sale. Its a great time and you might just find a treasure or two. Sales all over time!